The Arturo Fuente Anejo #888 is tagged with free shipping. If you order this product, your entire order will receive FREE BCP Ship Saver shipping! 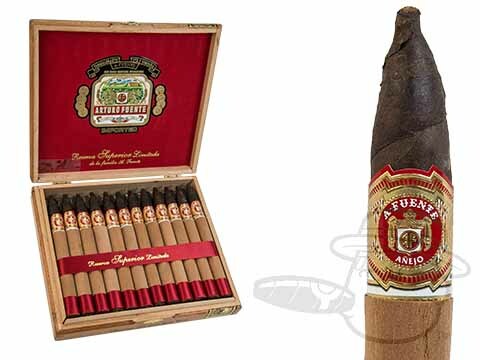 I really enjoy the Fuente cigars, especially the 858 Sun grown, Anejos, and Don Carlos. You run specials all the time and that is when I really take advantage of them, even when my humidor is completely full. This cigar is my absolute favorite. Very hard to get but well worth hunting down and buying. What is not to like it is an opus X with a maduro wrapper. for me absolute perfection with a high end adult beverage. Arturo Fuente Anejo #888 is rated 4.5 out of 5 based on 2 customer ratings.